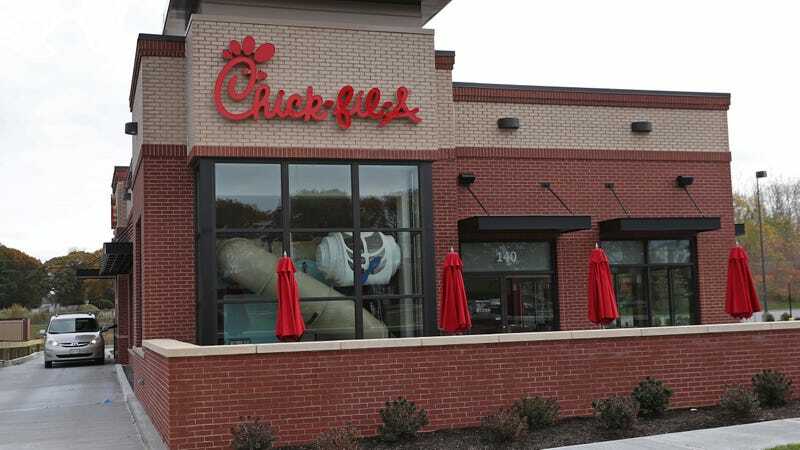 Sacramento Chick-fil-A pays employees $18-an-hour "living wage"
Sacramento Chick-Fil-A's way of attracting fast-food workers? Pay them $18 an hour. One manager changing his own equation: Sacramento Chick-Fil-A franchise owner Eric Mason. According to The Washington Post, he told “the local ABC news affiliate KXTV that he would be raising his workers’ pay from $12 to $13 an hour to $17 to $18 an hour starting June 4, referring to the increase as a ‘living wage.’” The minimum wage in California is $11 an hour. Mason maintains, “As the owner, I’m looking at it big-picture and long-term. What that does for the business is provide consistency, someone that has relationships with our guests, and it’s going to be building a long-term culture.” Chick-Fil-A prides itself on its customer service, so workers who are less likely to jump are going to be better indoctrinated into the chain’s corporate culture. And the higher wage could save costs down the line if it reduces frequent employee turnover. After all, Chick-Fil-As don’t seem to be going anywhere; recent estimates have the chain set to take over the No. 3 spot in fast food, surging past Wendy’s, Burger King, and Taco Bell to get closer to McDonald’s and Starbucks.